NextHenry Hopwood-Phillips’ ‘The Best Streets in the World’. Some have called the Donation of Constantine the greatest forgery in history. For six centuries, it was believed to be a Roman imperial decree created by emperor Constantine the Great to bestow rule and vast possessions of western Europe to Pope Sylvester (reigned 314-335) and his successors. Fortunately, it was through the efforts of Italian humanist, Loremzo Valla, in the fifteenth century, that it was proved a fake. The authorship of this astonishing document still today is surrounded in mystery. Many have tried to pinpoint its origins and often it has been assumed it was created by a Roman ecclesiastic of the eighth century. Reasons for its fabrication are often associated with the papal office’s attempts to break free of the clutches of Byzantine influence and/or also to simply undermine Byzantine territorial claims in Italy. In a nutshell, it also boiled down in most part to religious authority. With Constantinople so far away, the Pope wished to attain some sort of autonomy and control of his own domain. A gigantic ten-foot tall stone man, was discovered by two hired workers, digging a well behind the barn, of property owner William C. Newell. The dumbfounded workers helped spread the word of their discovery and soon thousands of people were queuing up to view the colossus of Cardiff. Little did they know though, that the giant was the creation, of an enterprising New Yorker named George Hull. A few years before the giant was excavated on his cousin’s Cardiff farm, Hull secretly put into place his plans for the hoax. He spent a small fortune on searching for the right material (a block of gypsum), on travel expenses and on the expertise of stone cutters, who would give ‘life’ to the Cardiff Giant. After secretly colluding with his cousin Newell, and the stone cutters he hired to carve the giant, it was moved by railway to Binghampton and then moved again, in the dead of the night to Newell’s farm. Almost a year would lapse, before Hull gave the signal for Newell to hire two workers, to dig a well at the burial site. The Cardiff Giant soon gained national attention upon its discovery on October 16, 1869. About a week later, Hull decided to sell his interest in it (making a tidy profit), before the giant was reveled as a fake. In November, as one might expect, the inevitable happened, when preeminent Yale professor, Othniel C. March declared it “a most decided humbug.” Though, it’s clumsy attempt to fool the American people, didn’t dampen interest in it at first. For a short while, it was affectionately referred to as “Old Hoaxey”. Still today, tourists can line up to see the fake Cardiff Giant at the Farmers’ Museum in Coopertown, New York. When amateur archeologist Charles Dawson found part of a skull near Piltdown, in England, in 1912, he thought he had discovered the indisputable ‘missing link’ between apes and humans. For roughly forty years, many in the scientific community believed that the top part of the human skull and fragments of the ape-like jaw were from the same skull. Others, of course, were skeptical and held personal doubts about its validity. In 1953, the skull was subjected to a test called fluorine dating to prove its age. When the tests came back, it was shown beyond doubt to be a fraud. Its ape-like jaw was proven to be from an orang-utan, and while the top part of the skull was human, it was only about 600 years old. The two were deceitfully joined together and stained to make them seem older. 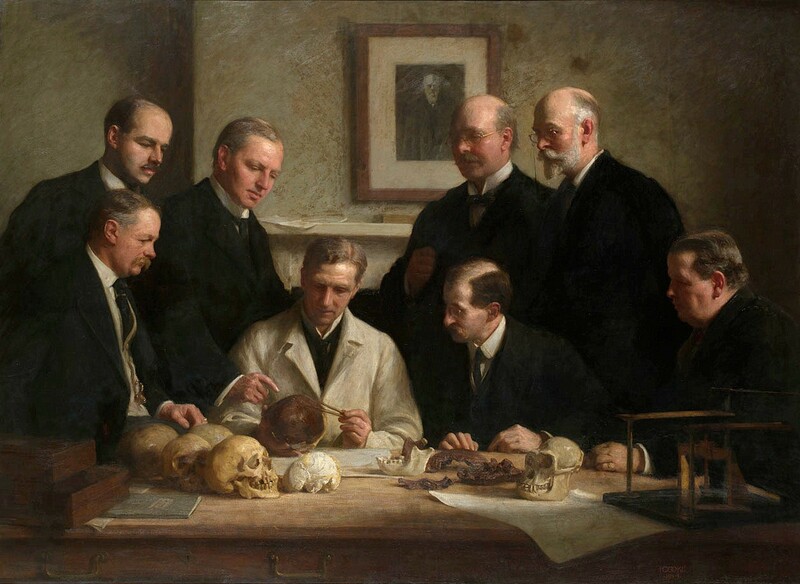 Was the Piltdown Man the greatest hoax in the history of science? Maybe. It certainly affected the early work of scientist on human evolution. No one knows who did this and why, but a number of suspects have been identified including Charles Dawson. A great start to a intriguing subject! I find the idea of forgeries, hoaxes and the reasons for perpetrating them endlessly fascinating. It’s worth pointing out that the three examples you chose to open the series seem to have been carried out in support of the beliefs of the perpetrators. 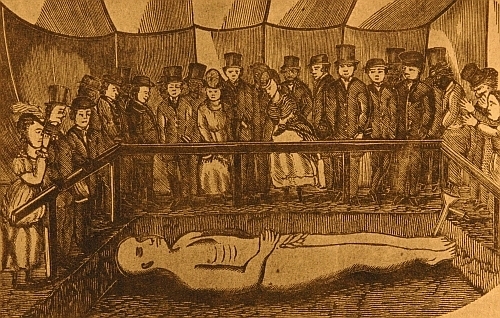 Personal enrichment would appear to be incidental in each case, certainly not a principal objective and only a consideration of the Cardiff Giant case. Is it too much to hope that the ‘Life On Mars’ articles that appeared in Victorian American newspapers will be discussed? To close I would say that it looks pretty certain that Charles Dawson was responsible for the Piltdown Man hoax. I think I saw genealogist Caroline Rockford’s book about that earlier this year. Haha, I’ll consider it Richard. The Burning Blogger of Bedlam’s ‘The Best Streets in the World’.